Joomla is an award-winning, open-source content management system (CMS), which enables you to build Web sites and powerful online applications. It's used to build, organize, manage and publish content for websites, blogs, Intranets and mobile applications. With more than 3 percent of the Web running on Joomla! and a CMS market share of more than 9 percent, Joomla! powers the web presence of hundreds of thousands of small businesses, governments, non-profits and large organizations worldwide. Joomla is built on a model–view–controller web application framework that can be used independently of the CMS. It is written in PHP, uses object-oriented programming (OOP) techniques and software design patterns, stores data in a MySQL, MS SQL, or PostgreSQL database, and includes features such as page caching, RSS feeds, printable versions of pages, news flashes, blogs, search, and support for language internationalization. Moreover, It is one of the most popular Web site software packages available. 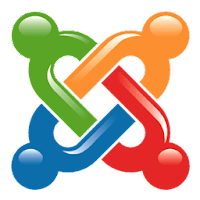 As of November 2016, Joomla! has been downloaded over 81 million times. Over 7,800 free and commercial extensions are available from the official Joomla! Extensions Directory and more are available from other sources. It is estimated to be the second most used content management system on the Internet, after WordPress. Easy one click version update. Banner, Content, User and Template Management. Developer: Open Source Matters, Inc.
Disclaimer: Direct downloads for the lastest version of Joomla! 3.9.5 are provided by the official software's author, we can't guarantee safety, availability or download speed. Moreover, we don't and we won't provide any pirated/illegal versions or tools. We recommend you to avoid it as these methods can harm your device. If you like the software, buy it to support the developers. (We provide software discounts for many worldwide brands).